There is a family story here. There is a story behind this sign and this stop. A long time ago, but in the same land, two crazy kids left college for the real world. As they drove across country, the hubs (I figure you guessed it was us) wanted to stop at every national and state park between Utah and Houston TX. There are a LOT of both, let me tell you. By the time we hit the Texas border, I was really getting over stopping for anything but restrooms and food. So we drove past Palo Duro Canyon. And honestly? It was so flat, I didn’t believe there was a canyon there. So, time passed. We ventured out onto the road again to deposit a child at college. She didn’t want to stop anywhere, even though we were retracing our own journey taken about sixteen years before. 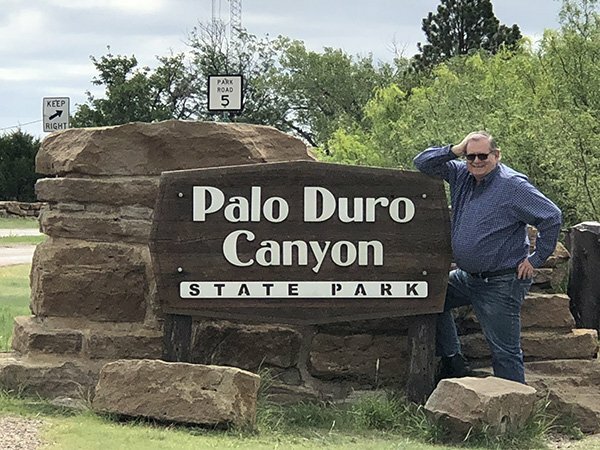 So, no Palo Duro Canyon. 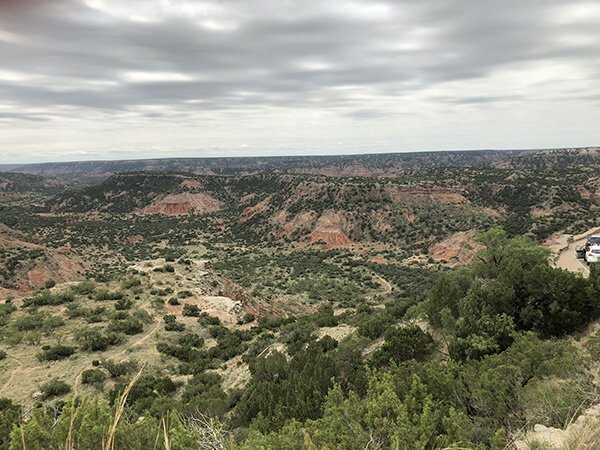 So, it was our last chance and I told the hubs, fine, we can stop at Palo Duro Canyon. That’s a real canyon. Hubs says it is because it is a high plains or something. So, it only took him thirty-eight years. Now he wants to go back. We weren’t there long enough. PreviousA Tale of Two CoversNextIs That a Lizard or a Dragon?